Many people think orthotics are just shoe inserts. While insoles are certainly one of the devices used to treat orthotic conditions, the term encompasses much more than that. Explaining orthotics to your patients can take time, so we make it easier with educational materials that will help them understand the process from fittings and follow-ups to adjustments and repairs. To help you get started, we offer a free Welcome Starter Package. During our 30 years in business we’ve seen significant advances in orthotic designs—and we’ve been at the forefront of many of them. Subscribe to our newsletter to receive updates on changes to our services, topics relevant to today’s orthotic care, tests in 3-D printing and treatment case studies. Orthotics is ever evolving. Education sessions can be great ways to explore new topics in orthotics, onboard new staff or serve as a method of continuing education. We have years of experience, as orthotists and teachers in the field. Popular topics include: stroke rehab, contracture management, offloading the diabetic foot, introduction to orthotics. We will be happy to customize topics to your requirements. 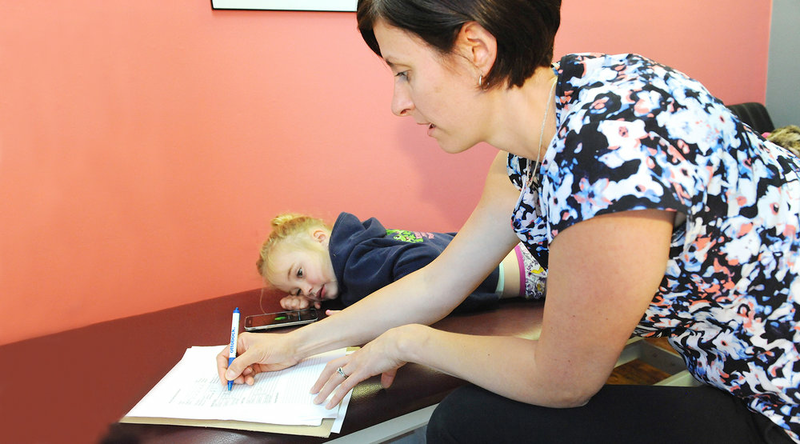 Prior to being seen by an one of our orthotist your patient will need a prescription or referral. Referrals can be faxed to 905-602-0649. If you are a physician or registered practical nurse and are interested in prescribing a custom-orthosis download and complete an Assistive Devices Program (ADP) form. Original copies can be sent with patients to their appointment.